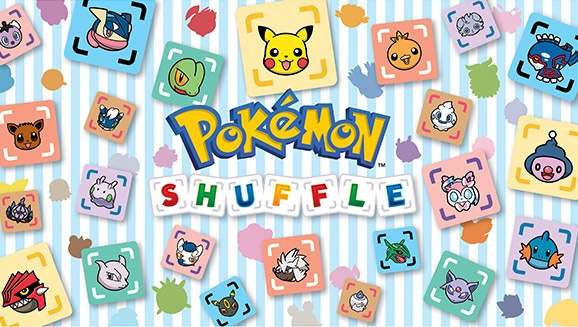 Pokémon Shuffle continues to expand with the launch of its latest challenge featuring the legendary Regirock Pokémon and the addition of ten new main stages taking the total main stage count from 180 to 190. The Regirock Great Challenge gives players the opportunity to take on the powerful foe over 30 moves. Pokémon users who accomplish this will be rewarded with 1000 coins the first time they clear the stage. This challenge starts today and ends on 25th May. The ten additional stages added to the main portion of Shuffle are located within the new area Pedra Valley, and include encounters with second-stage Kalos starter Pokémon. Let us know in the comments what you think of this latest challenge against the mighty Regirock and the new stages in Pedra Valley. Finally! I felt like I was waiting forever for new main stages. I wonder if there's a new expert stage pokémon too. I find Regirock very hard to beat. Pretty much stopped playing this now... Been playing Puzzles & Dragons Z since Friday... It's pretty much like Pokemon except you mess around with dragons lol. New main stages? Time to fire it back up. On a related note - up to level 25 in Pokemon Rumble World and have pretty much stopped playing that. Same balloons same worlds over and over w/ most of my Pokemon in tne 800s so I cant beat the next Kings Challenge asking for 920 and I have all the 50 and lower balloons so getting 90 Pokedismonds will take way too long. Basically its easy to play for 2 hours at a time if I want to, but its all just treading water at this point, no progression, this really is free-to-start and pay-to-continue, and w/ the reptitive style of play Im less likly to continue. Those over 100 Pokediamond balloons arent tempting, their off-putting. Guess 1 out of 2 free games being done right isnt bad, need to experiment to find out what works. @rjejr Every single password for Rumble World has been released. 30 free gems and all sorts of Pokemon. It will boost your Pokemon ranking by a huge amount. @Sanicranfast - Thanks, I printed out the password list and used most of them. But the free Pokeidamonds went towards 1 50 balloon, and almost all of those Pokemon are in the 200 power range. It would rank me up more, but I don't see the point if I can't purchase more balloons or get higher level Pokemon. The repetition is getting boring I guess. @Hyperion Same here! I actually really enjoy the game. I also continue to play, but my interest is fading quick because I'm stuck on this level. Looks like it's time to try and beat Mega Aerodyactyl more adamantly. @KTT Same. I've only barely got him past half hp. Any suggestions how to beat Regirock?